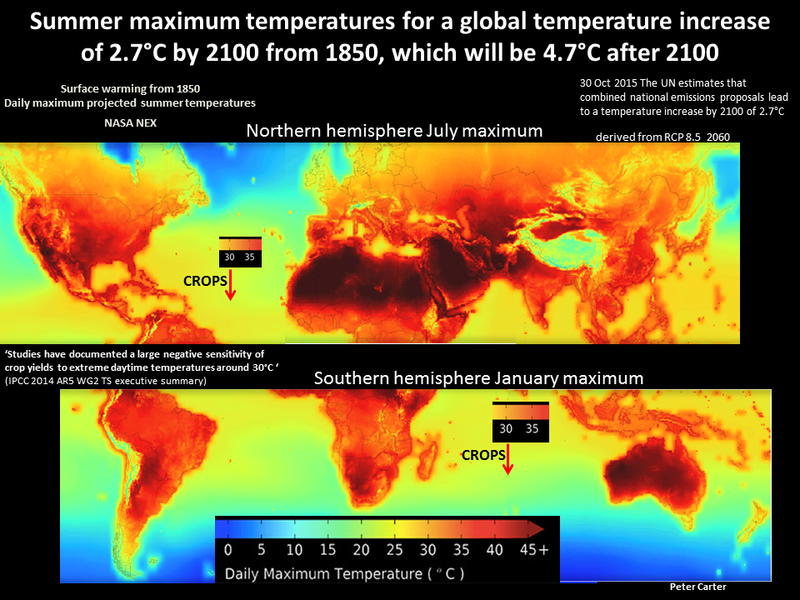 It seems obvious, and confirmed, that global warming will result is more heat waves or extreme heat events. In the lower latitudes where summer temperatures are near the limit human tolerance already global warming even modest amounts will ​​make life intolerable and heat waves will be deadly to already vulnerable populations. 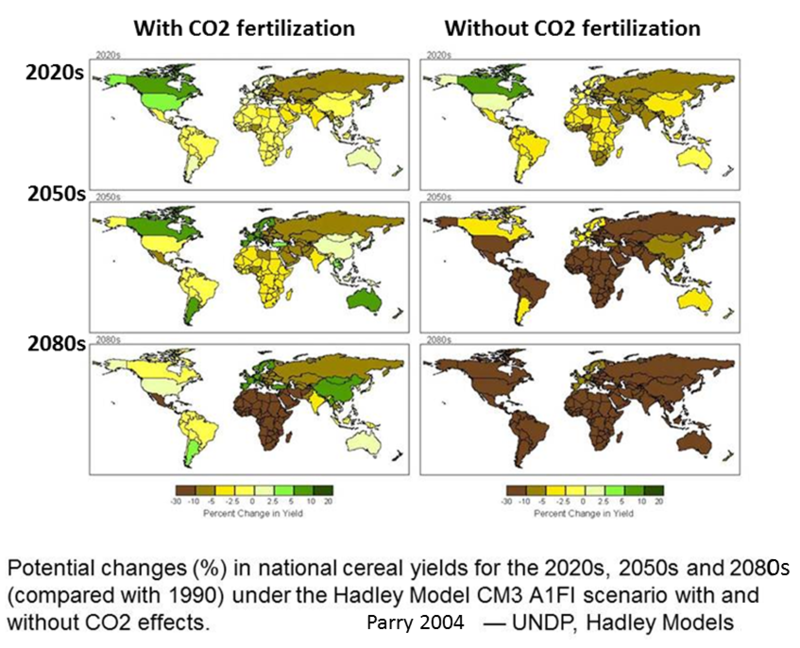 But it will not take ​much more global warming to render large regions of the planet unable to sustain agriculture- due to the new summer high temperatures alone. 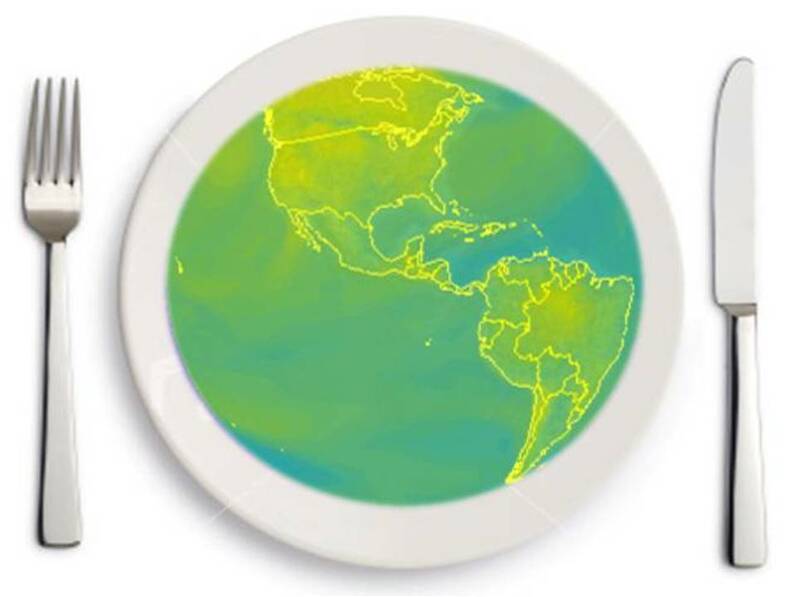 The Northern hemisphere heats faster than the South (more land less ocean) and central continental regions heat faster still. Populations in the Southern US and Southern Europe will only survive a heating above 2C with cooling air conditioning and lots of water. 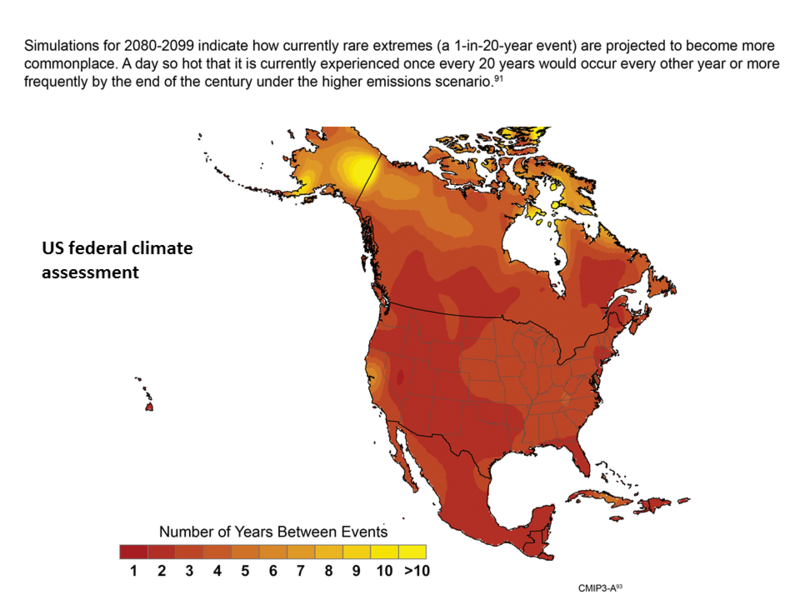 Heat will drive populations to the north with resulting social stresses. Increased of air conditioning of course leads to more global warming. The type, frequency and intensity of extreme events are expected to change as Earth’s climate changes, and these changes could occur even with relatively small mean climate changes. Changes in some types of extreme events have already been observed, for example, increases in the frequency and intensity of heat waves and heavy precipitation events. In a warmer future climate, there will be an increased risk of more intense, more frequent and longer-lasting heat waves. ​​It is virtually certain that increases in the frequency of warm daily temperature extremes ...will occur throughout the 21st century on a global scale. 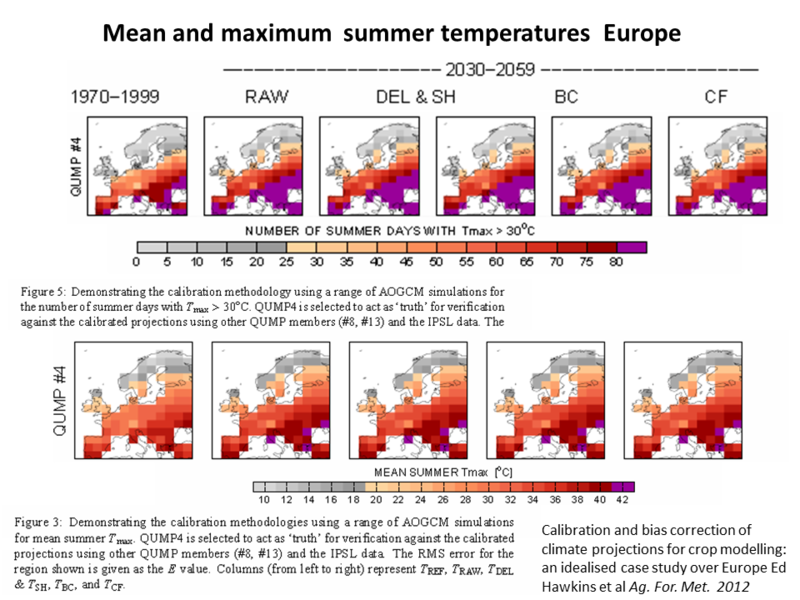 It is very likely—90 per cent to 100 per cent probability—that heat waves will increase in length, frequency, and/or intensity over most land areas. ​​There is evidence, ..., that droughts will intensify over the coming century in southern Europe and the Mediterranean region, central Europe, central North America, Central America and Mexico, northeast Brazil, and southern Africa. ​​—Economic losses from weather- and climate-related disasters ... overall have increased. —Total economic losses from natural disasters are higher in developed countries . ​in Northern hemisphere very hard. 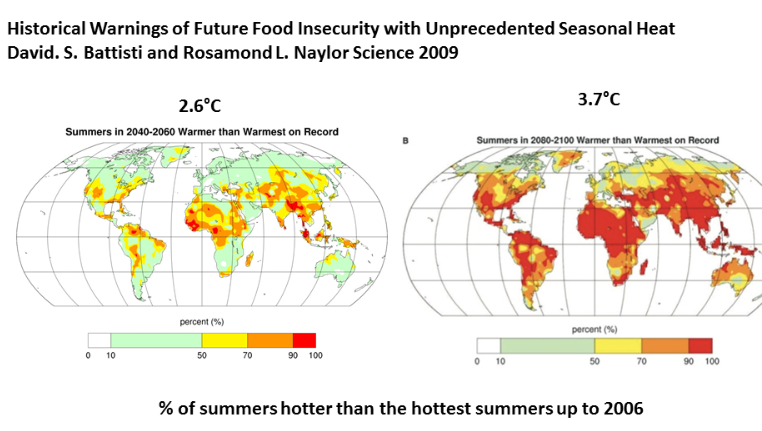 Higher growing season temperatures can have dramatic impacts on , ... food security.